An overview of the environmental and health concerns surrounding furniture and medical furnishings in the healthcare sector and a case study of a project that successfully specified green products throughout the facility. Attendees will be able to identify and understand basic information about the key environmental toxicants in furniture and furnishings. Attendees will learn about alternatives to some of the toxic chemicals that are currently on the market, as well as draft standards from BIFMA and A.C.T. that are upcoming. 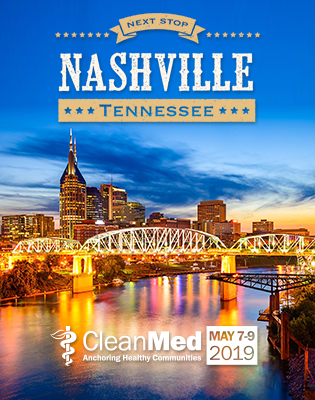 Attendees will hear about innovative efforts undertaken by health care facilities and manufacturers to source green furniture and furnishings. Jean Hansen holds a B.F.A. in Environmental Design, is a LEED accredited professional and Certified Interior Designer with more than 25 years of experience in interior design, healthcare planning and sustainable consulting. Her portfolio includes a range of healthcare settings, including acute care, medical office buildings, cancer and research centers, and children’s hospitals. Julie Silas is with the Healthy Building Network (HBN), a national network of green building professionals, environmental and health activists, socially responsible investment advocates and others who are interested in promoting healthier building materials as a means of improving public health and preserving the global environment. Ms Silas is a lawyer with more than fifteen years experience in health and environmental advocacy. She is on the project team for the Pharos Project and is a consultant to Kaiser Permanente’s Sustainable Fabric Alliance.